Dermaplaning is a simple exfoliating treatment that makes skin softer, smoother and more radiant. Dermaplaning is performed by carefully exfoliating the outermost layer of the skin with a sterile blade. The process “shaves off” dead skin as well as the soft light-colored “vellus” hairs of the upper lip, cheeks and sides of the face. 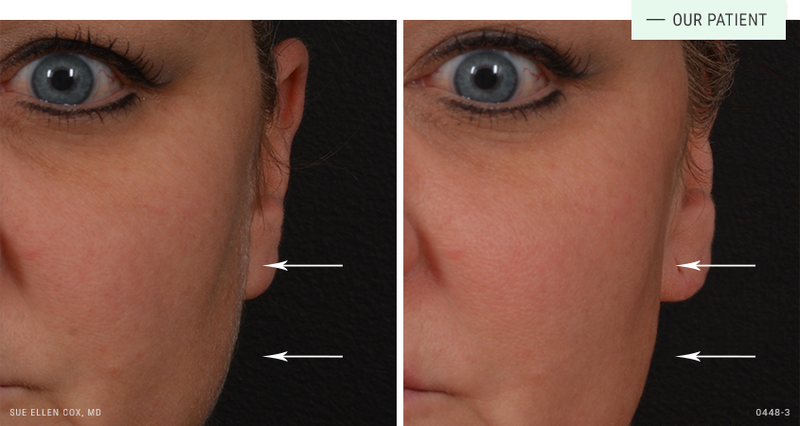 Before | After: Dermaplaning removes dirt, debris and fine vellus hairs from the face. 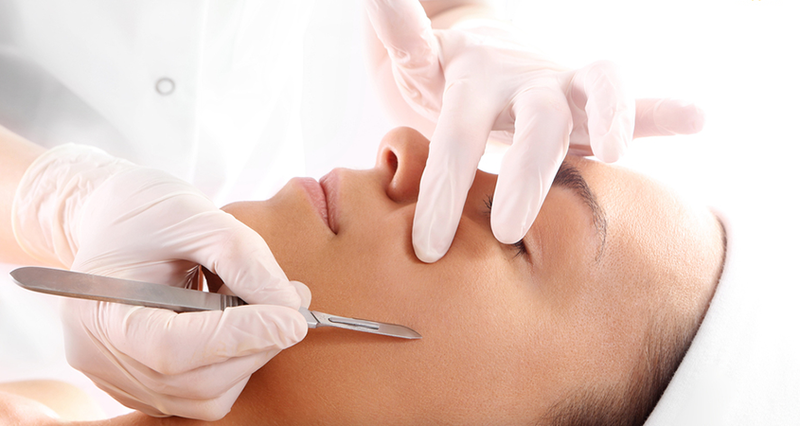 Dermaplaning has an excellent safety profile. Like any surgical or non-surgical procedure, there are risks associated. Dr. Cox stresses the importance of finding an experienced provider supervised by a physician who understands the finer points of exfoliation treatment. Dermaplaning is very well tolerated. 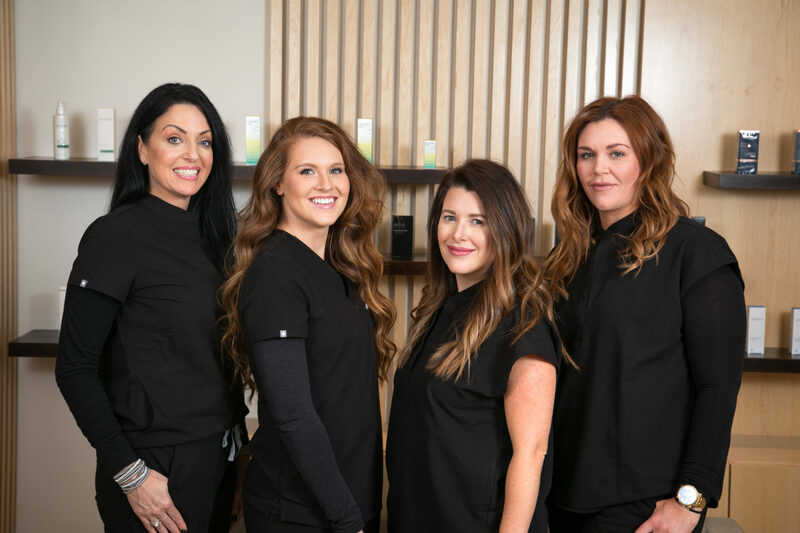 Your Aesthetician will carefully and gently remove light facial hair and dead skin from the treatment areas used a blunt-ended sterile scalpel. Patients typically compare the sensation to shaving their legs. You should not expect to feel any pain or discomfort. The procedure typically lasts about 20 minutes. There is no downtime associated with dermaplaning. Immediately after the procedure, your skin may appear pinker than normal, but this typically resolves within a few hours of treatment. Your skin will look and feel noticeably smoother and more radiant. The removal of dead skin and facial hair reveals skin that is noticeably soft and more radiant. It may also allow skin care products to penetrate deeper and more effectively into the skin. This treatment is a favorite of professionals in the entertainment industry because it leaves skin looking fresh and provides a smooth surface for makeup application. The results are comparable to other forms of exfoliation, with the added benefit of hair removal.